Plastic, a wonder of Polymer chemistry, it came into Indian market in the late forties but its use increased phenomenally from the 70's with widespread utility in both industrial and domestic sectors. The Plastic industry growth in India has been in step with its growth worldwide. Plastics have made visible and dramatic changes in the field of consumer products, packaging, agriculture, construction, furniture, medicare, and telecom and information technology. Plastics are linked to the growth and prosperity of emerging economies like India. Plastics as exceptionally versatile, cost effective and convenient material have become an integral part of our daily lives. It is in fact difficult to imagine a world without plastics. The development of any industry creates an impact on the environment and the plastic industry is no exception. Social attitudes and perceptions have acquired a heightened awareness of the environmental issues today and the world of tomorrow has become just as important as the world we live in today. Often these perceptions tend to be based on superficial understanding of the relevant facts. It is important that facts are fully analysed, alternatives evaluated so that rational choices can be made when deciding what is the best. The plastic industry has lately come under scathing attacks. Accusations leveled against plastics in general and against plastic industry in particular have been far fetched and without a sound rational basis. What is the major concern about usage of plastics? The average citizen perceives the household garbage specifically plastic packaging material as a major contributor to the waste problem. It sees poly bags casually thrown around in public places such as streets, parks and beaches and plastic bottles scattered around refuse bins rather than inside them, disposable plastic trays and cups all along the railway tracks, highways etc. Everybody gets concerned, media runs campaigns and suddenly authorities consider taking such actions as banning the plastic bags, assuming litter will go away. Is it not our duty as serious and responsible people to analyse all the facts without prejudice and find solutions which are technically and economically feasible to protect our environment? Does the Government have a responsible role in evaluating available scientific data before passing sweeping regulations? Does the public have some responsibility towards maintaining civic sense and not indulging in littering? Have our Municipalities considered taking steps in implementing the Notifications on Municipal Solid Waste Management issued by the Central Pollution Control Board and Government of India? Have most of our NGOs been fair in terming plastic as the main environmental pollutant while ignoring the lax attitude of citizens about littering particularly of thin plastic carry bags and absence of litterbins? And finally, has the Plastic Industry taken steps as responsible members of the society to create a fair image of plastics and laying scientific facts before the public? In 1999, the Indian Centre for Plastics in the Environment was set up based on the recommendations of the Task Force on Plastics set up by the Ministry of Environment and Forests. It is an autonomous body and has eminent personalities from Government, industry and educational and scientific institutions on its Governing Council and the Executive Committee. The main task before ICPE is to act as a bridge between the plastic industry on the one hand and the policy makers and the society at large on the other hand so that responsible, technically defensible and rational actions are taken in the overall public interest and environmental welfare. In fact, it is a part of the industry initiative for Responsible Care. ICPE addresses various social, environmental and technical issues with specific emphasis on plastic waste and offers technical and practical solutions. Taking up a lead role in establishing effective waste collection system through pilot projects as demonstration models. Establishing network of concerned Industry Associations for promoting waste management and organized recycling. The situation calls for coordinated actions in several areas. To conduct Public Awareness campaigns about the ill effects of littering - and that includes all types of waste unwanted material like paper, glass, plastic, jute, metal and not just plastic. To ensure separation of dry and wet municipal waste at source. The citizens have to be educated and persuaded to segregate household waste into wet and dry bins, segregated waste must become the norm in all our housing colonies. These efforts have to be backed by an efficient municipal waste collection system linked to an economic recycling programme for dry waste. A massive communication programme complemented by strict enforcement of penalties for littering will ensure success of our efforts to remove unattended garbage in our environment. ICPE has already initiated a Pilot Project in Mumbai to implement Segregation of Household dry waste at source, with the cooperation of Brihanmumbai Municipal Corporation ( BMC) and a host of enlightened NGOs such as NGOs for Governance and Renewal ( NAGAR) beginning with the Cuffe Parade area of Ward A. ICPE and other NGOs (SMS, FORCE) have replicated this project in 5 other wards of Mumbai. The truth is that the general popular view that plastic is the main component in municipal solid waste (MSW) is not confirmed by research. Even in western countries where the usage of plastics is several multiples of that in India and throw away rather than reuse is the norm, plastic accounts for less than 8 % of the municipal Solid waste. Other categories of waste material organic products paper, cardboard and glass represent a greater tonnage of waste. In our country where plastic usage is only 3.7 kg per capita, the amount of plastics in the municipal waste is still lower, barely 2 or 3%. To educate the public about the positive attributes of all types of plastics by publishing literature, organizing seminars and conference with National and International participation of experts in the field. ICPE has also undertaken the task of translating the literature into regional languages so that the all important lay public in the remote corners of the country understand and appreciates the information and use it to save the environment. Plastic conserves resources and it is 100 % recyclable. To regularly interact with Recyclers - one of the most important member in the chain and ensure their involvement and cooperation in the sorting, transporting and recycling of the plastic waste in efficient manner. ICPE has commissioned a proto type of Compactor for compacting voluminous plastic waste comprising of water bottles, cups and such items. The Proto type Compacting machine will convert the litter prone mineral water bottles into manageable compacted bales that can be transported economically to the Recycling facilities. The recycling industry in our country remains unorganized and needs upgradation. We need to ensure that recycling continues to be a commercially viable proposition and a market for properly recycled and labeled products for specific applications is created. Modern technology must be applied to mixed plastic waste recycling compacting and waste reuse. Plastic industry should play an important role in this effort in its own enlightened self interest. 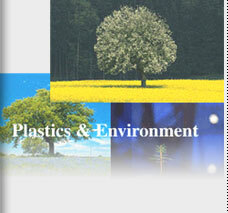 Provide, monitor and promote social, environmental and technological inputs in respect of the plastic industry. Develop and encourage standards/ specifications/ guidelines for plastic waste / recyclates for applications in various products. Circulate, collate, publish and disseminate statistical data and technical information on Plastic waste industry / Plastic Industry. The industry, through ICPE, needs to participate in constructive dialogues and exchange of information with Government bodies, Civic Authorities, NGOs and assist them in understanding and appreciating the real issues plaguing our environment and formulating the right approach in the interest of the Environment. Our commitment for reduction of wastage at source needs to be stressed. On one hand unnecessary non-functional packaging should be cut down and on the other hand actively promote reuse of material should be actively promoted. Fortunately in our country reuse is an economic necessity and recycling is an industry which provides livelihood to millions of poor people. These initiatives must be supported by systematizing and upgrading them with infusion of better technology, management and funds wherever needed. We will then be truly subscribing to the motto of Recover, Reuse and Recycle.